Downtown Miami is expanding with One Thousand Museum from Zaha Hadid Architects, a luxury condo tower currently under construction. Kobi Karp's Palazzo Del Sol on Fisher Island is slated to open in October. Faena House in Miami Beach is near nightlife and culinary hotspots. In Sunny Isles Beach, Jade Signature is on the 51st floor of construction. 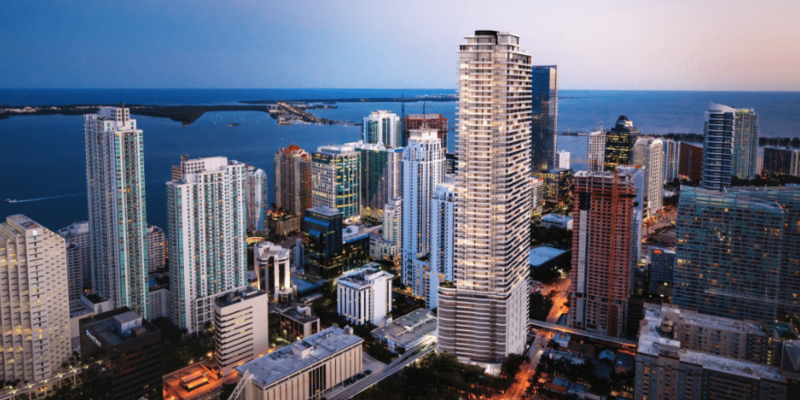 The Miami cityscape is lined with high-end residential properties and outstanding pieces of architecture, so finding a home fit for royalty can be fun if one has the pockets — but some people would rather have that new-condo smell instead of buying someone else’s.